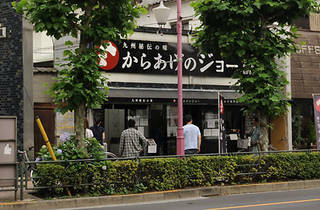 Karaage no Jo, can be found along Meiji-dori, close to exit A3 of Nishi-ojima Station – look for a black sign displaying a circular red logo and white writing. Karaage no Jo specialises in takeout karaage, and they use domestically reared chicken meat, a sauce produced using a traditional recipe from Kyushu and fry everything to order in a crispy batter. Karaage here comes in three different varieties, made from either regular pieces of boneless chicken, wings or wing tips, and comes in two different flavours of regular or spicy sauce. That being said, the one to try here is the spicy sauce option. Additionally, they also offer packs of karaage and particularly popular karaage bento. 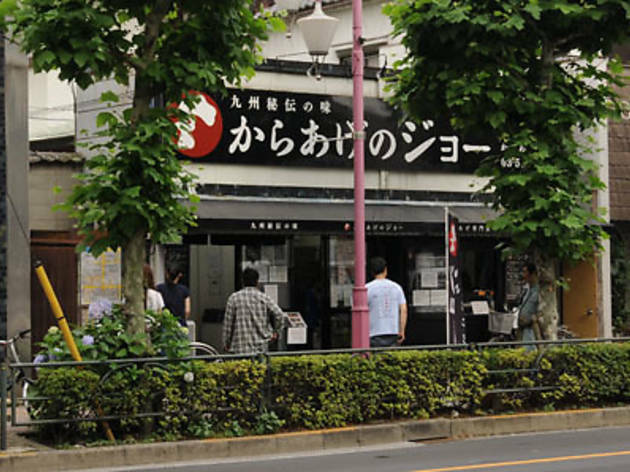 Depending on when you choose to visit, you may have to queue to order.